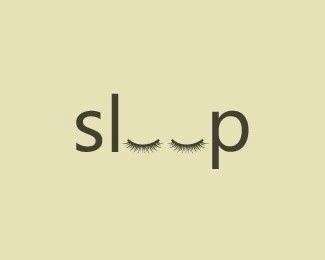 The following is a guest post from Sleep Specialist Nancy Nadolski. Okay, enough about me. As retail mattress practitioners, RMP for short, you probably see the same troubled sleepers I see in my medical practice. Lately, after a couple of Vulcan mind-meld conversations with Mark Quinn, I’ve been chomping on something that I think you’ll find interesting. I’m intrigued by the fact that nearly all of the women coming to my sleep clinic are able to tell me the brand of their mattress! Sadly, the reason these drowsy dames know their mattress brand name (and often the brands they have slept on in hotels) is because sleeping has become a pain, literally. Women are really suffering physically AT NIGHT. In the mattress business, I’m guessing you live with the fallout from this phenomenon from the minute you turn on the lights in your store, until you hang up the CLOSED sign at night. Am I right, or am I right? 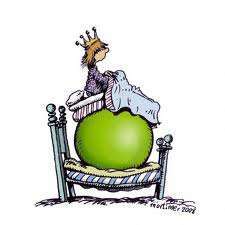 Lest you be thinking that this is a Princess and the Pea bit of imaginary fiction, there is actually some science to back this up. My colleagues at the National Sleep Foundation did a poll on women and sleep a few years back. They found that more women (58%) suffer from nighttime pain than men (48%). They also showed that one in four women reported that pain or physical discomfort interrupted their sleep three nights a week or more. That is one in four hurting women plus three sleepless nights out of seven…wow, wow, wow. • Women referred to me by the pain clinic report liking a mattress that is more firm. • Turning over and moving with little effort is very important for women with arthritis or fibromyalgia. • If women feel like they are crawling out of a hole to turn over and adjust themselves they will leave the bed and search for someplace in the house that offers more substantial support. Sometimes that place is a sofa or recliner. Cools is cool because one of the additional challenges for treating women with disrupted sleep is the dreaded and oft-debated hot flash. And although Menopause the Musical was one of my favorites, there is nothing to sing nor laugh about with hot flashes. The very real problem in treating hot flashes is that we have not been able to study them with the gold standard of measurement for sleep, a polysomnogram. Boy have we tried. But those pesky hot flashes don’t have a predictable pattern. We can send 100 women to the sleep lab and wait all night for them to produce a hot flash. Some will respond, others won’t. We joke about how hot flashes might be caused by global warming, but medically we don’t know if women wake up and then experience the change in temperature and the sweating that cool the system, or if the sleep stage itself spikes the temp and heart rate and turns on the water. We just know that women from sea to shining sea all wake up in their own personal swimming pool and don’t know where it came from. For many women, Mr. Sandman morphs into a soggy sleep-deprived lifeguard. Just today, as a matter of fact, a 59 year old female patient said she decided her Tempur-Pedic mattress was too hot, so she bought a mattress cover that was guaranteed to cool things down. I’d love to know what your “patients” tell you. If we put our heads together we may be able to sing a sales and sleep lullaby in perfect four-part harmony. ⟵Are Tempur-Pedic’s Changes Leading to Mediocrity? Too hot eh? What about silk duvets and mattress pads? Have you ever suggest one of your patients to try to switch to silk bedding? Silk naturally regulates the body temperature helping women in menopause stay cool! What a gift that you are aware of this piece of comfort for women in these golden years. I hope you are asking these questions with your customers. It’s been said that Ben Franklin changed beds 4-5 times a night because he liked the cool covers in the unslept bed. Can’t say for certain, but while I think Ben might have had some sleep maintenance insomnia due to obstructive sleep apnea, I don’t think he ever experienced menopause. Our bodies sleep better when we are cooler – in every sense of the word. Thanks and keep talking.